Munchee, Sri Lanka’s number one FMCG Brand, recently commenced a five-day environmental drive in Kataragama. 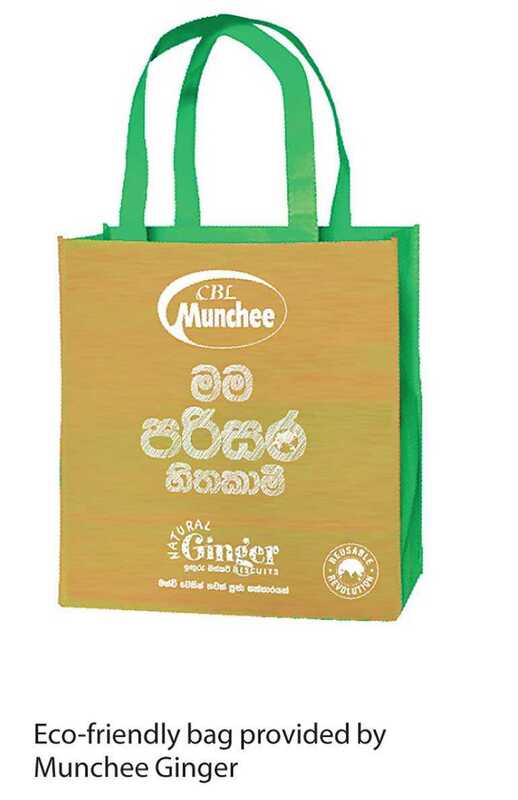 In line with the Central Environmental Authority’s directive prohibiting the use of polythene in the hallowed precinct of Kataragama during the pilgrimage season, Ceylon Biscuits Ltd.’s flagship brand Munchee has taken steps to set up booths in three key locations to distribute 15,000 eco-friendly bags sponsored by Munchee Ginger to the pilgrims. According to recent media reports, sacred sites such as Kataragama faces garbage crisis every year during pilgrimage season due to polythene waste left by hundreds of thousands of visitors. Government authorities led by the Central Environmental Authority have not only raised awareness regarding the matter, but also have taken stringent measures to curb polythene use during this period. In conjunction with these drives, Munchee has time and again steered a number of environmental campaigns with the aim of ensuring cleanliness and beauty of the sacred cities, while proactively contributing to the conservation of environment. With the aim of addressing the rapidly growing issue of polythene menace, Munchee implemented the environmental initiative from 23 to 27 July in Kataragama. Booths will be set up at three strategic locations namely: near the entrance of Kataragama Devalaya, Gam Uda Junction as well as the entrance of Kataragama Kirivehera Temple. At these special booths, pilgrims can obtain an attractive and durable eco-friendly bags provided by Munchee Ginger in exchange of five shopping bags and join the cause to protect the environment. In addition to the eco-friendly bags, arrangements have been made for serving delicious Munchee Ginger biscuits to the pilgrims arriving from all parts of the country, as well as from across the world. Coinciding with its corporate social responsibility initiatives, Munchee spearheaded a similar environmental drive during the recently concluded Sri Pada pilgrimage season, where eco-friendly bags were distributed among pilgrims and visitors.